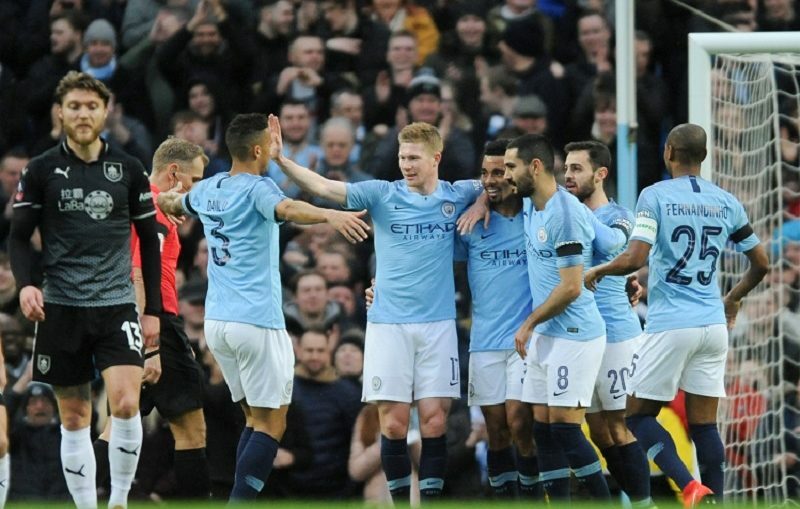 Manchester City’s unbeaten start to 2019 has continued with a 5-0 thrashing of Burnley in the FA Cup Fourth Round. Pep Guardiola’s sharp shooters extended their goal tally to 29 goals in their previous 8 outings since they last conceded a goal. Goals from Gabriel Jesus, Bernardo Silva, Kevin De Bruyne, Sergio Aguero and a Kevin Long own goal proved more than sufficient to steamroll the Clarets. The Sky Blues never looked troubled throughout the tie, despite initially struggling to break down a well-drilled Burnley side in the first 45 as they held a 1-goal lead. However, a ruthless showing in the 2nd half saw City blitz past Sean Dyche’s side, dispatching 4 goals past an often hapless, yet spectacular Nick Pope. The Brazilian shot-stopper was untested in between the sticks as the Clarets failed to register a single shot on target throughout the clash. However, Ederson was called to action after Nicolas Otamendi’s calamitous miscontrol put Matej Vydra through on goal and his pinpoint positioning put the Czech striker off. His lobbed goal-kick was key in the build-up for Kevin De Bruyne’s goal. Another clean sheet in the bag for the Seleccao No.2. 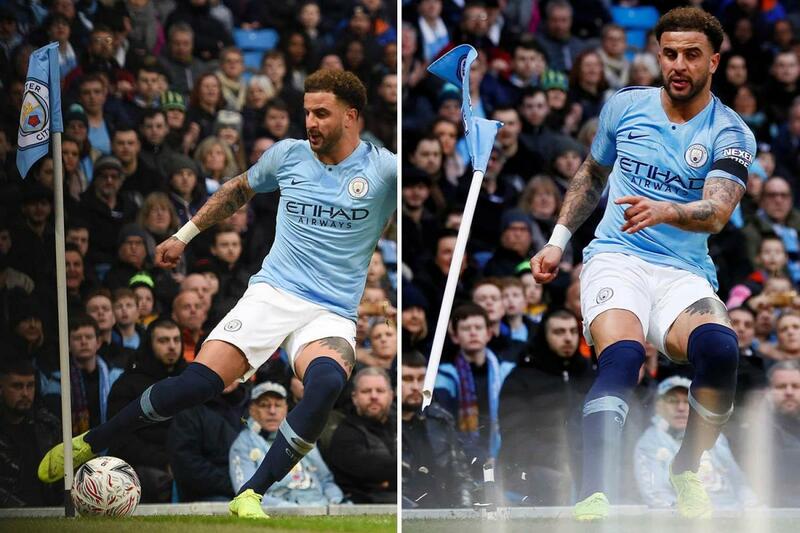 2018-19 has been far from a fairytale season for Kyle Walker and yet again, he endured a mixed bag of game. In an offensive sense, the former Spurs man’s pace proved to be a handful for Robert Brady as he got in behind on several occasions. A prime example of this was when he pulled it back for Bernardo Silva to strike on goal, courtesy of a delightful pass from De Bruyne. Despite his inspiring forays forward, he was guilty of losing possession, especially in the 19th minute when he had made a meal of a simple pass and earned a yellow card after a rash challenge on Steven Defour. Defensively, he was solid when called upon. The England international marshalled the back four efficiently and dealt with the physical Vydra with ease. A relatively untroubled afternoon for the 24-year old. Hindsight indeed is a wonderful thing and Burnley fans could be forgiven for imagining if the tie would have turned on its head if Vydra would have converted his gilt-edged opportunity. With City in cruise control, despite only leading by a goal, Otamendi’s dismal miscontrol was pounced upon by Vydra, however, he could only manage to hit the side netting after Ederson’s brilliant positioning closed the angles for the Clarets striker to aim towards. The ex-Valencia defender’s distribution was excellent, however, and his diagonals to Kyle Walker were crucial in City’s transitions. 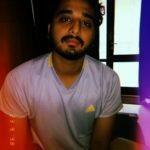 The 27-year old’s versatility has been a massive boon for Pep Guardiola as he has shined at left-back, following Fabian Delph’s recent suspension and Oleksandr Zinchenko’s suspect showings in defence. Danilo’s stellar displays have also led to him usurping Walker at right-back in recent weeks and he has established his place as a starter for the reigning champions. He set Gabriel Jesus’ opener up with an inch-perfect through ball to give City the lead. Danilo almost got on the scoresheet after a dipping effort was parried away by Nick Pope. The former Real Madrid man got forward well and put in another sturdy performance. Fernandinho did not have to be at his all-action best as Burnley lacked any venom going forward, however, he was assertive when needed and initiated counter-attacks. It was his tackle in the middle of the park that eventually ended in Bernardo Silva’s goal. The Brazilian completed 104 passes in the match, more than any City player on the pitch and continues to prove his consistency, game in and game out. As City were not in dire need of his tirelessness in midfield, he was substituted in the 65th min for David Silva. The former Borussia Dortmund midfielder was a mere passenger in the first-half as he failed to stamp his authority on surroundings. However, Ilkay Gundogan showed major signs of improvement in the second 45, playing key passes in between the lines, linking up well with Riyad Mahrez and Kevin De Bruyne and overall, putting in a tidy performance in midfield. He was involved in the build-up play for both Bernardo Silva and De Bruyne’s goals. Kevin De Bruyne was pulling strings this afternoon as he split the Burnley defence with a myriad of incisive balls into the box. His immaculately fizzed in cross for Gabriel Jesus in the 13th minute and his gorgeous lobbed pass for Ilkay Gundogan in the 29th minute come to mind, among many other such majestic moments. The Belgian assisted Bernardo Silva’s strike with a simple pass to set up the Portuguese. He backed this up with a piledriver from outside the box to put the game beyond Burnley. This goal was identical to his winner against Brazil in the World Cup quarter-final. 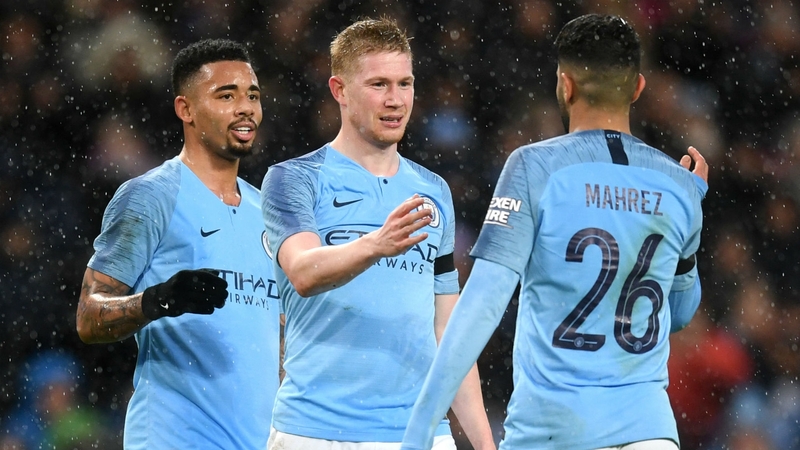 De Bruyne’s sumptuous cross in the 73rd minute was met by Kevin Long who netted the ball in his own net to cap off a sublime showing from City’s chief creator. Phil Foden came on for De Bruyne in the 74th minute. The Algerian winger’s absence from the starting 11 in the Premier League has caused massive conjecture about whether Guardiola favours him as providing stiff competition for Raheem Sterling and Leroy Sane. He seems to be falling by the wayside as things currently stand at the Etihad. Mahrez’s crossing was simply woeful in the first half and he looked devoid of any ideas on the left flank. However, he did liven up in the second 45 and often engaged in interplay with Gundogan. The former Leicester City forward assisted De Bruyne’s goal, albeit with a simple pass. Bernardo Silva tends not to be at his sparkling best on the wing and while he was not at his vintage best, he did manage to get on the scoresheet from a deflected effort that struck Stephen Ward as it made its way into the net. This was the 24-year old’s 8th goal in all competitions for the Citizens this season. The Portugal international engaged in brilliant one-two’s with Kevin De Bruyne, in particular, and it was this lovely exchange that led to Long’s own goal. Even when Silva was not offering attacking output, he pressed relentlessly and always tried to force Sean Dyche’s men into making errors. Gabriel Jesus’s fairytale 2019 shows no signs of stopping as he scored his 8th goal in 4 games. Getting on the end of an incisive Danilo pass after making an intelligent run, the Brazilian frontman darted past Long and Tarkowski to finish a sublime solo goal. He was replaced by Sergio Aguero in the 74th minute. The midfield maestro did not impact proceedings from the get-go, however, he could have got on the scoresheet after Pope denied him from close quarters. He was also mindlessly held back by Long to gift Aguero a goal from 12 yards out. Sergio Aguero made no mistake in converting his penalty and further widening the gap between City and the visitors. The “Stockport Iniesta” had some neat touches in the middle of the park, but he did not have enough time to showcase his artillery of skillsets.